The LPGA Tour picked up exactly where it left off in 2014 with another nail biter in the season-opening Coates Golf Championship in Ocala, Florida. 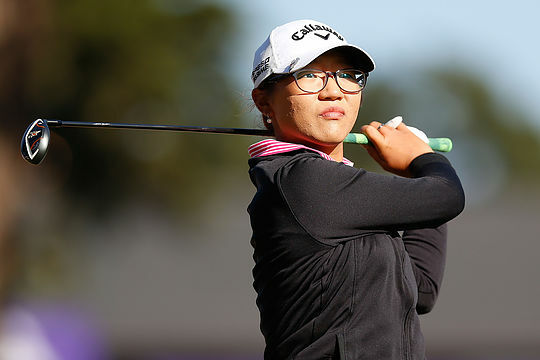 In a rare Saturday finish, South Korea’s Na Yeon Choi took home the trophy by a stroke but not before the seemingly incomprehensible occurred to profilific New Zealander Lydia Ko. .At the penultimate hole, Ko posted an uncharacteristic double bogey as playing partner Choi watched on, which would ultimately mean the difference in the end. Choi’s final round 68 gave her a four round total of 16-under par 272, with Ko, Ha Na Jang and Jessica Korda tied for second at 273. Although she has been consistent presence in recent seasons, Choi had not won since 2012 and was relieved to get the monkey off her back. Ko’s unfortunate finish was still enough for the Kiwi to claim the No. 1 position in the women’s game, when the new rankings are released this week. Ko becomes the youngest in either the men’s or women’s golf history to hold the top spot, beating the record set by Tiger Woods who first became No. 1 aged 21 years, 167 days. Ko did it at 17 years, 283 days old. “It’s amazing. I didn’t know that, I didn’t really know what I needed to do to get in that position.” Ko said. Australia’s Minjee Lee made her debut as an LPGA member on American soil count with a five-under par total, good enough for 12th position. Lee was the low Australian this week ahead of Sarah Jane Smith (T40, Katherine Kirk (T44) and Karrie Webb (T59). Korda defends her title at the Bahamas LPGA Classic this week before the LPGA takes a week’s break ahead of the Women’s Australian Open at Royal Melbourne from February 19-22.